This sturdy plastic holder works with Stones* and Korns** brand 1/4" diameter lithographic crayons. 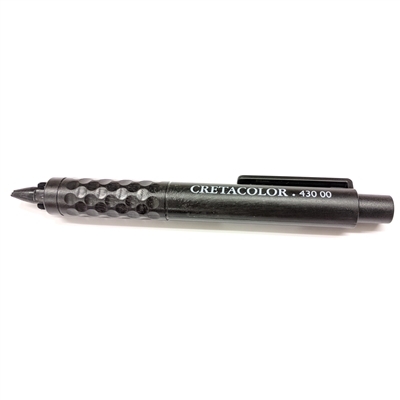 A spring-loaded collet lightly grips the crayon to maintain a usable length while drawing. *Stones 1/4" crayons that are irregularly shaped or too large diameter can be shaved down to fit into the crayon holder properly. **Korns 1/4" crayons that are longer than the crayon holder can be shortened to fit into the crayon holder with a suitable working length. 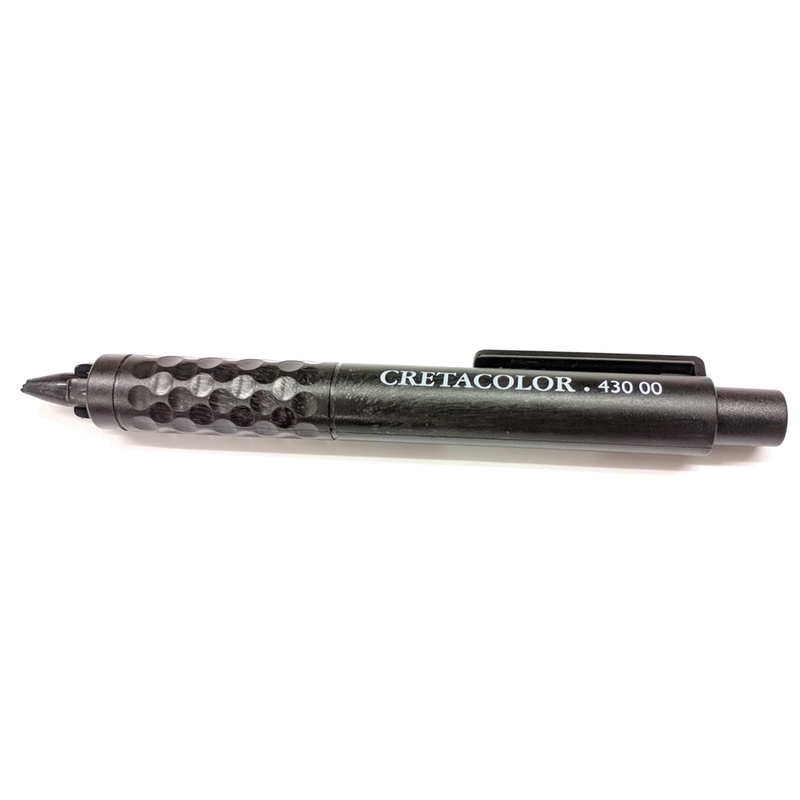 This Creatacolor crayon holder comes packaged with a 1/4" graphite (non lithographic) pencil. This review will go for this holder as well as the wooden holder. They are both beautiful, but after attempting to use them more I decided that I would be better off using the jet eraser holders. I prefer my crayons unbroken, which is impossible with these holders. As mentioned above, the crayons are never 100% round, so the thickness varies. Meaning that either crayons won't fit in the first place, and if they do they often get stuck inside the holder and you can't get them out. (I have two wooden holders and a cretacolor, and both wooden ones have crayons stuck in them. One is still usable, the other is not) They work if I'm running low on crayons and all I have left is 2 inch pieces. I love Takach Press and I don't like leaving a bad review but no one else seems to review anything so I thought it may be helpful to some people. BUT If you get either of these, they come with a graphite stick. So if you're into graphite drawing as well, it would be great tool to for you.